If you are looking for a great vacation package, the Galveston Island Romantic Getaway Package is a great way to woo your sweetheart. The package includes two nights of lodging in your choice of hotel as well as admission into the Schlitterbahn Water Park. Make sure you stay comfortable on your next stay at Galveston Island. The hotel package allows you to choose your favorite amenities and features, so you can have a very personalized experience during your trip. You can also choose your location, so you can stay as close to the action as you want, which is especially handy for you if you love going to the beach. You can book a hotel right on the water! The package also includes admission into Schlitterbahn water park. 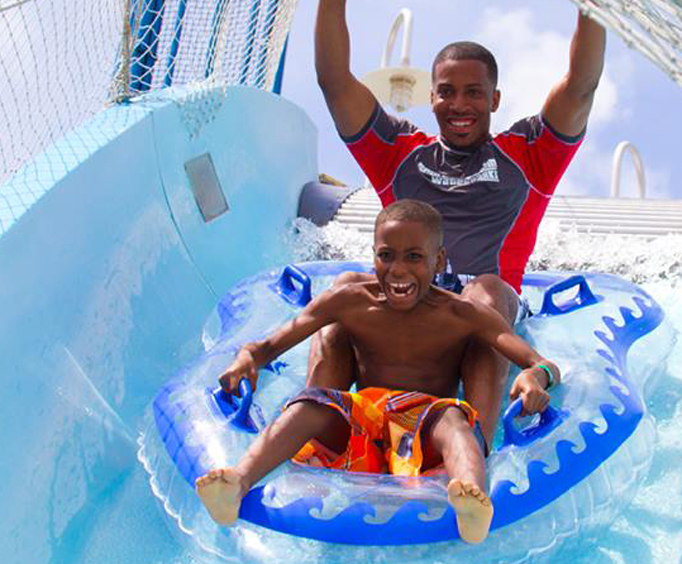 The water park features plenty of rides perfect for cooling off during a hot Texas day. The park is full of water slides, indoor and outdoor pools, splash pads, tube chutes and more. Divided into three different regions, you can spend plenty of time exploring. Wasserfest is an indoor water park which is open in any weather, Blastenhoff and Surfenburg are both located outside and are open seasonally. Make sure to bring your cooler along, as well, for a picnic lunch at the park. With so many different options of hotels and the promise of a day of splashing fun at the Schlitterbahn, the Galveston Island Romantic Getaway Package is a great way to get out with your sweetheart and experience all that this beautiful place has to offer.